Energy Display in Solar Eruptions "Set to Music"
Theodor Landscheidt was born in Bremen in 1927. He studied philosophy, law, and natural sciences at the University of Goettingen where he earned his doctorate. He was, until his recent retirement, a West German High Court judge. He is the Director of the Schroeter Institute for Research in Cycles of Solar Activity, and is on the board of directors of the International Committee for Research in Environmental Factors at the Free University of Brussels. He has been elected a member of various German academies and of the American Geophysical Union. Since 1974 Landscheidt has made long-range forecasts of energetic solar eruptions and geomagnetic storms. When checked by astronomers and by the Space Environment Services Centre, Boulder, Colorado, his predictions have been shown to have a quality better than 90%. He successfully forcast the end of the Sahelian drought and has correctly identified the turning points in various economic cycles. The unanimous message of mystics of all ages that all entities in the universe are interconnected and constitute an indivisible whole 3 is proven now by unequivocal physical experiments that have been replicated again and again.4 From this undeniable unity, connectedness, and inseparability follows that any action or configuration in any distant part of the universe can influence processes in the solar system inhabited by man. This is also valid for the interrelations of Sun and planets within the solar system and especially the Earth's connections with other cosmic bodies in the solar system environment. To look at the solar system and its constituent parts as a whole that embraces a complex web of holistic interrelations, is a premise of traditional astrology, which seemed antiquated, but turns out to be trend-setting. Thus, it appears promising to subject the astrological thesis of an influence of celestial bodies on the Earth and life on its surface to a new test. The quality of the astrological body of theses matches the holistic results of modern research, as it represents the archetype of an integrating science. Astrology of this brand was a historical reality in the era of Kepler, Galileo and Newton. It is well known that Kepler was both an astrologer and one of the creative founders of modern science. Book IV of his principle work "Harmonics Mundi" with the heading "Book on Metaphysics, Psychology, and Astrology" is evidence of this, as well as his papers "De fundamentis astrologiae certioribus" and "De stella nova". Those who pretend that Kepler was not really engaged in astrology should read these writings. Galileo, the other master scientist, was also an astrologer. 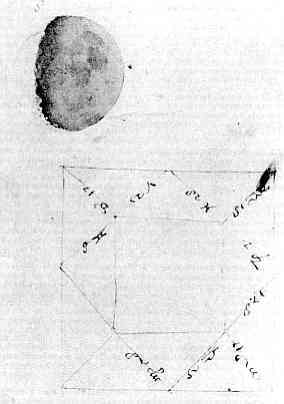 Figure 1 from Owen Gingerich5 shows on top a drawing of the Moon made by Galileo after his construction of an astronomical telescope in 1609. On the same page is the start of a horoscope he cast for Cosimo II di Medici. This concurrence is typical of the holistic approach of Kepler and Galileo. They did not talk about interdisciplinary research, they lived it. Kepler was not only an astronomer and astrologer, but also a meteorologist, mathematician, harmonist, philosopher, theologian, and mystic. Newton, last but not least in this trinity of creative scientists, wrote much more papers on alchemy, theology, and metaphysics than on physics and mathematics.6 In hundreds of nights, spent in his unhealthy alchemic laboratory, he searched for the noumenal light, bearer of life and mind, quite different from the phenomenal light he dealt with in his optics.7 Kepler, Galileo, and Newton integrated the knowledge of their age. This was a necessary condition of their creativity. In our days, astrologers and scientists do not live up to their great predecessors who initiated a new age in science. There are few exponents who coalesce astrological views and modern scientific knowledge to create new paradigms. Most scientists do not realize that their findings confirm fundamental astrological ideas, and most astrologers do not see that creative scientists transgress the frontiers of traditional astrological knowledge. In our time, astrology's faculty to integrate diverging fields of knowledge is merely a dormant potentiality. Faint-hearted astrologers timidly defend the old saying "as above, so below" in reducing it to a mere analogy, whereas scientists like the dynamic systems theorist Erich Jantsch8 and the Nobel-prize recipient Ilya Prigogine9 boldly claim that there is interdependent coevolution of microcosmic and macrocosmic structures regulated by homologous principles which go back to common cosmic roots that converge in the cosmic-egg phase of our universe. Even Operations research, a rather practical field of knowledge, follows the basic rule that the behaviour of any part of a system has some effect on the system as a whole. The application of such rules, however, is restricted to the narrow limits of human activity in society, technology, and economy. Scientists lack the boldness of astrological imagination that could stimulate a projection of basic insights upon the dimensions of the solar system, the realm of Sun, Earth, and planets that induced creative ideas in Kepler, Galileo, and Newton. The result of the experiments shggested by Bell's theorem begs for a new synthesis that integrates fundamental astrological ideas and modern scientific knowledge. Thus, let us try such a new kind of genuine interdisciplinary approach. It will yield intriguing results which show that Sun and planets function like an intricate organism regulated by complex feed-back loops. The Sun that makes the planets revolve around its huge body, is again influenced by the giant planets Jupiter, Saturn, Uranus, and Neptune that make it revolve around the common centre of mass of the solar system. This very irregular motion regulates the Sun's varying activity which again influences the planets and so on. This feed-back loop will be revealed by deciphering a kind of Rosetta stone of planetary forcing. We shall come to know how the tidal planets Mercury, Venus, Earth, and Jupiter and the giant planets cooperate in regulating or modulating essential features of the Sun's activity: the former by special effects of tide-generating forces and the latter via the Sun's oscillations about the centre of mass. And Jupiter, this massive planet just below the level of a binary star, is the link between both groups; it is the only planet involved in both functions, thus playing a central part. Earth's atmosphere, rainfall, temperature, rise and fall in animal populations, economic cycles, interest rates, stock prices, variations in the gross national product, phases of general instability, and even historical periods of radical change and revolution. In addition, consecutive Jupiter configurations constitute long-term cycles the harmonics of which point to short-term cycles that appear in various time series of solar-terrestrial events. The most significant harmonics form ratios that reflect consonances and even the major perfect chord in musical harmony. This new precise realization of the Keplerian "music of the spheres" makes it possible to "compose" predictions of the Sun's activity and its terrestrial response. Such forecasts have been checked by scientific institutions and reached a high level of reliability. Details of these data will be presented as well as the foundations on which they are based , so that the reader can judge for himself the dependability of the new results.